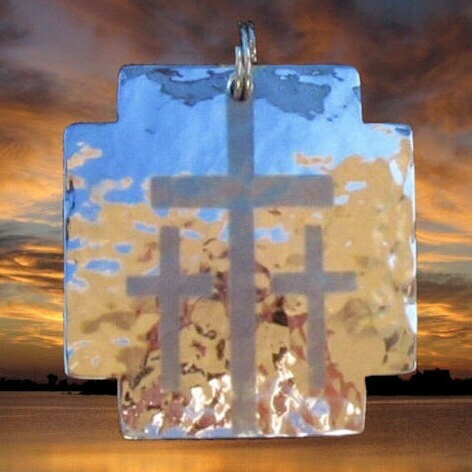 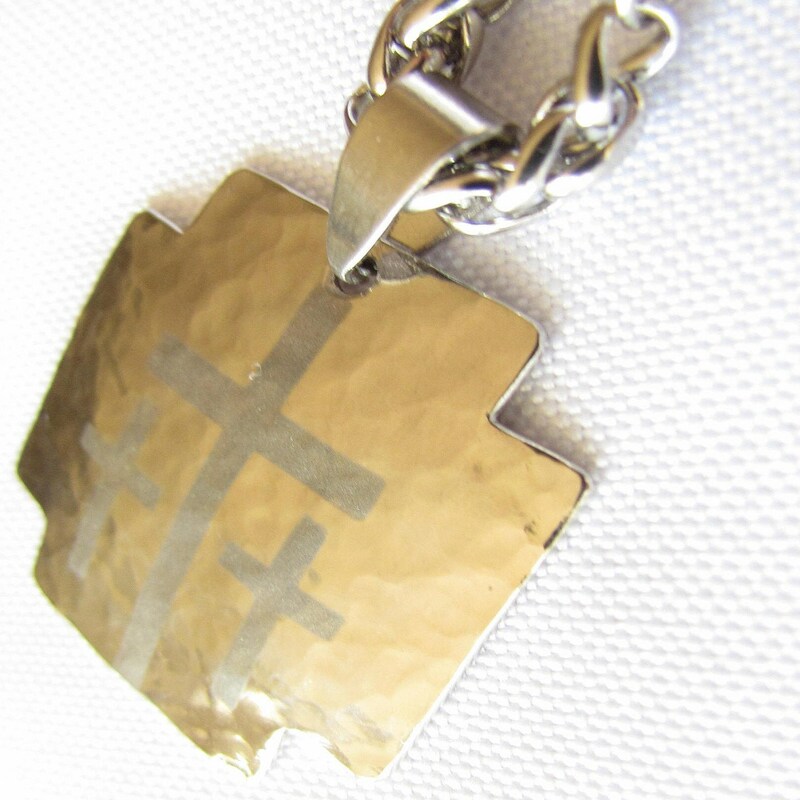 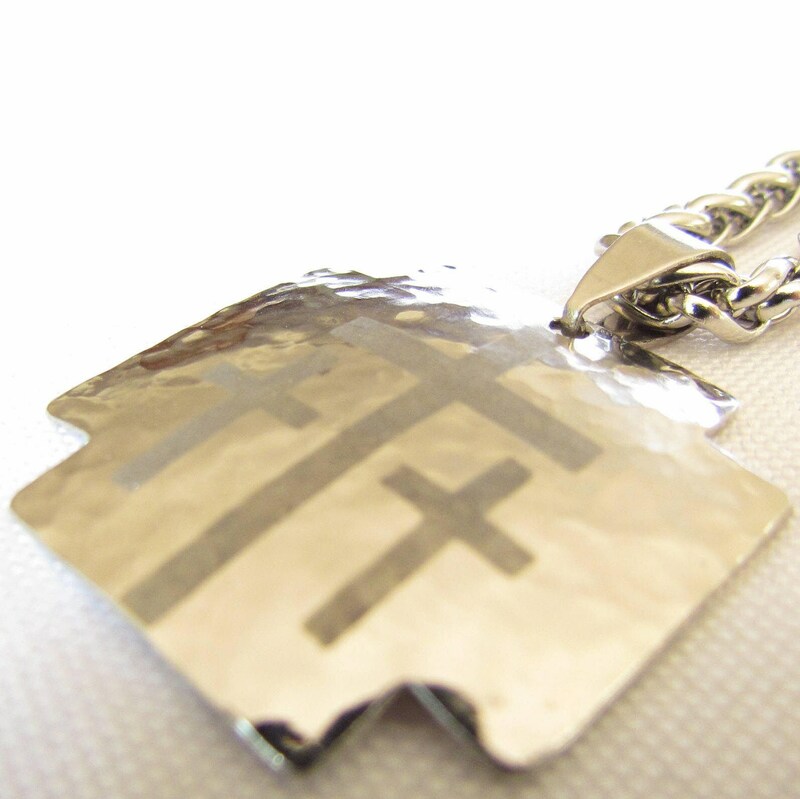 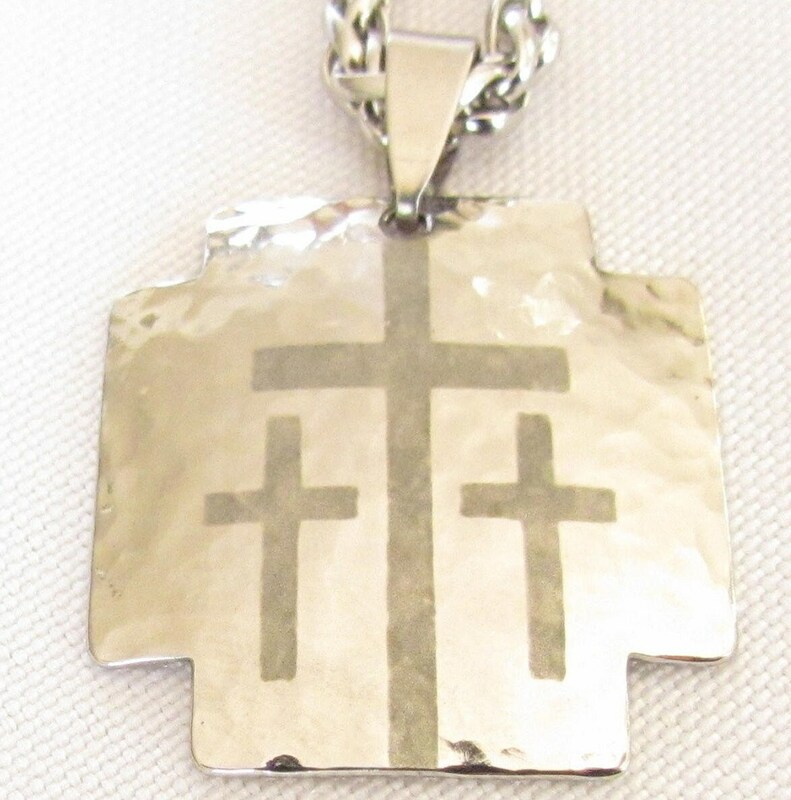 The Contemporary Hand Hammered Stainless Steel Iron Cross Pendant is sized at 1 1/8” high x 1 1/8” wide x 1/16” thick. 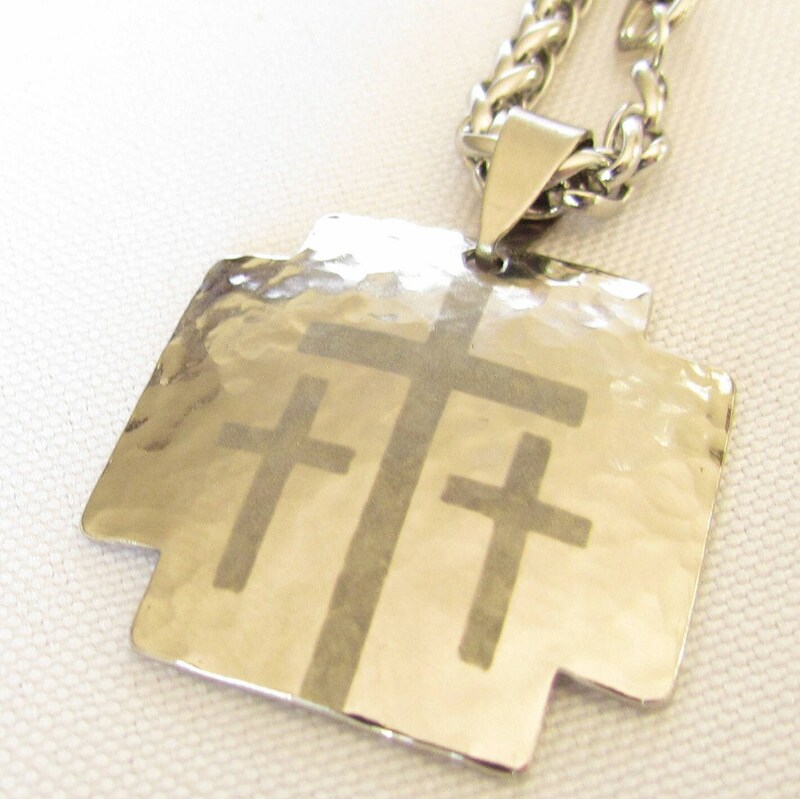 The Calvary 3 Cross is etched and hand hammered to a dome shape, then it is polished to sparkle and reflect light from all directions. 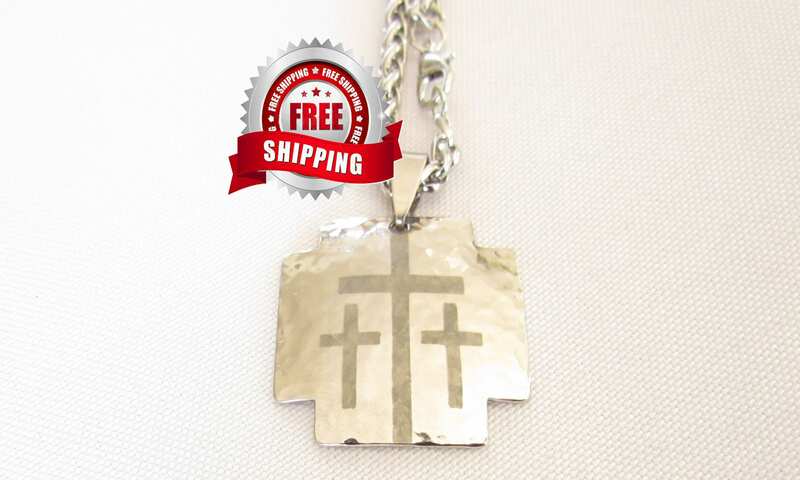 This is a very High Quality statement piece at an excellent price. 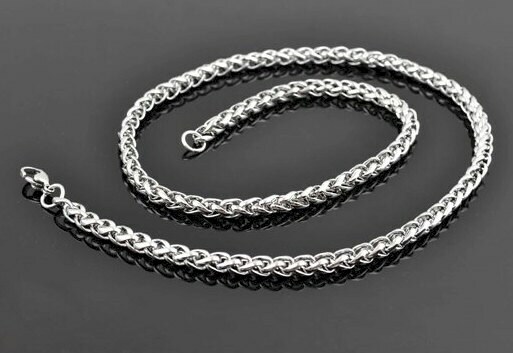 SUPER BONUS VALUE: Your Pendant comes with our Exclusive Heavy 4mm x 20" Braided Chain. 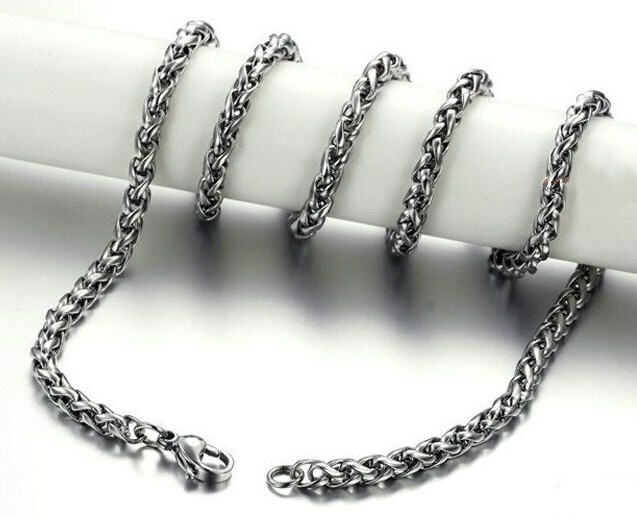 This Chain is all Stainless Steel including the positive locking Lobster Clasp (the chain normally sells individually for $18.00).